Please let me know what type of item you plan on using this roll up for (pen, pencil, makeup etc) and any measurements I need to know! Carry your writing tools in this elegant pencil/pen case! This pencil roll is durable, thick, and quilted like a regular quilt witj reinforced stitching and padded interior sections. 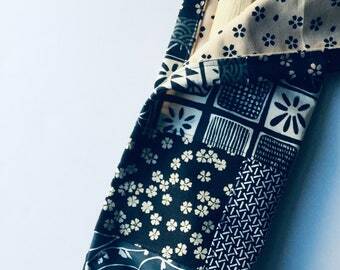 I create these with beautiful quality traditional patterned Japanese fabric imported from Japan. 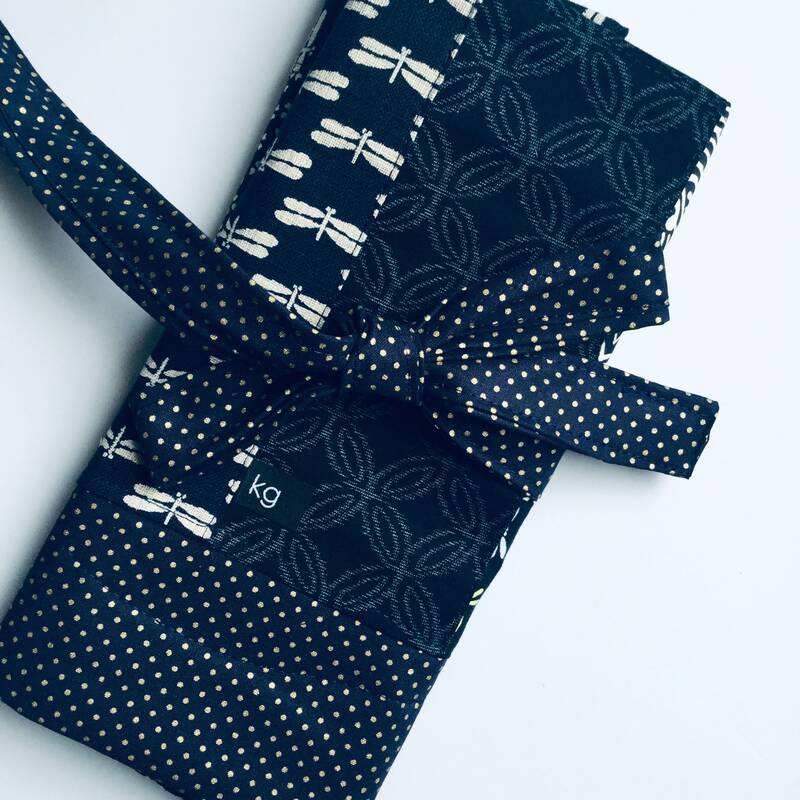 The inside pockets and slots are covered by an additional fabric flap, all tied together with a thick, matching cotton tie. I can make these types of bags for martial arts accessories, makeup, chopsticks, or really anything! Your brand new custom bag will be sent in our signature decorative packaging, ready to give away as a gift or treasure for yourself. Note that each bag is completely unique and quilted based on available fabrics. Kindly keep in mind that items in this shop are made by a human (me!) and not a machine, so forgive any slight imperfections and as always, let me know if any issues arise that I can tend to. Your bag may be very similar but not identical to the product displayed here, with the same approximate measurements and types/variety of fabric. Let me know if you have any special requests, I am happy to accommodate!